Growing up, baseball was life. I learned the game as a Pirate but perfected it as a Gator. 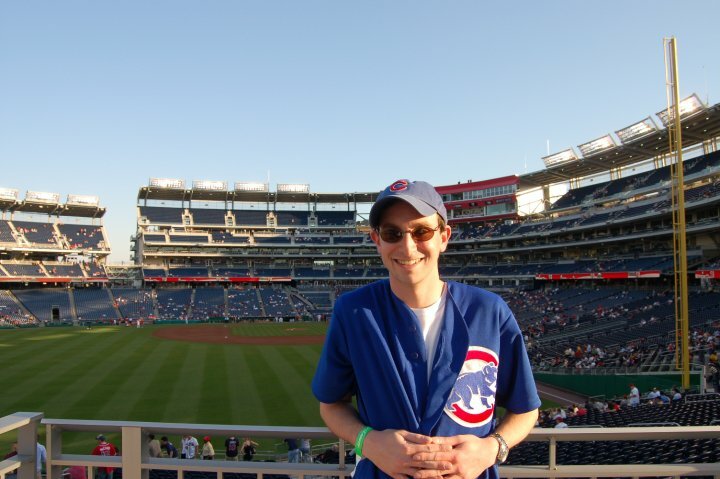 In between, I saw time as a member of the Cubbies, RiverDogs and Zephyrs. Yet, when I look back on my little league career, it's not the team names that conjure up the memories — it's the fields on which I played. Fields such as the pristine Woodland Park in Deerfield, Illinois were my home growing up. And yet, I now fear that such recreational spaces and more could be lost in the next 100 days if we don't act to save the Land and Water Conservation Fund, America's most important conservation and recreation program. Since 1964, LWCF has helped to protect National Parks, preserve grasslands and provide grants for the creation and expansion of local parks, trails and outdoor facilities. By benefitting all 50 states, this popular and bipartisan program has delivered sustainable jobs and conserved areas of critical environmental concern. But unless Congress acts, LWCF expires Sept. 30. It's a figurative two outs in the bottom of the ninth, and we desperately need to hit the ball out of the park by reauthorizing and fully funding this important conservation program. Fortunately, legislation in the Senate and House already exists to aid us. In the Senate, S. 569 would permanently reauthorize LWCF, while providing full, dedicated and permanent funding. In the House, H.R. 502 would permanently reauthorize LWCF, while directing a very small amount of funding to open up additional access to public lands for sportsmen and other recreational users. We can't win this game without your help! To learn if your elected officials have become co-sponsors, click here and here. If they have not already done so, please urge them to cosponsor and tell leadership to save LWCF before it expires. If a member of your delegation has already signed on, take a moment to thank them! Together, these bills are the best shot we have for ensuring future generations have the same recreational and conservation opportunities I had as a child. As the Babe says in the baseball classic The Sandlot, "There's heroes and there's legends. Heroes get remembered, but legends never die." Be a legend, follow your heart and tell Congress now is the time! Robert Schwartz is ambassador program manager for the Land Trust Alliance.